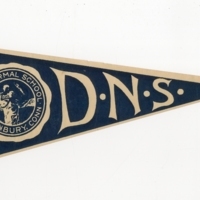 Steamer trunk sticker for the Danbury Normal School. 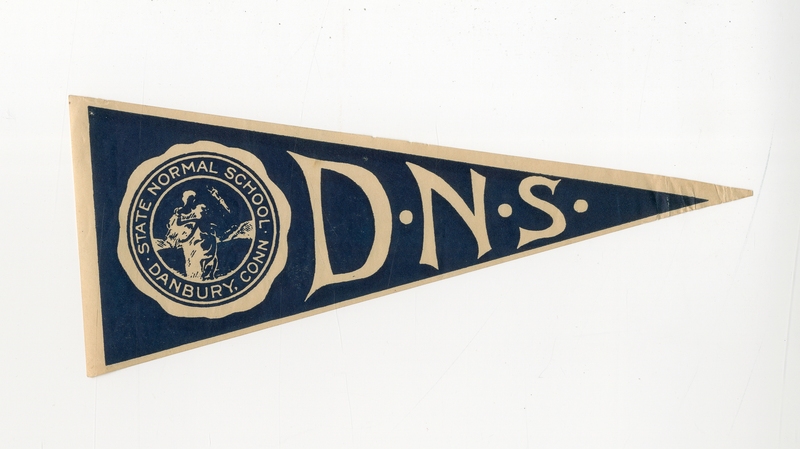 “DNS pennant sticker.” Western Connecticut State University Photographs and Miscellanea, RG8. WCSU Archives, 25 Oct. 2018. Accessed on the Web: 22 Apr. 2019.